Where to find Marysville hotels near an airport? Where can I find hotels in Marysville that are near tourist attractions? Travelers will find there is only 1 accommodation option within a 0.1-kilometre (0.06-mile) radius of Marysville's center, so it's worth securing your room as soon as possible. The closest Expedia-listed hotel is the The Waring House, Ontario, located 25 kilometres (17 miles) from the heart of Marysville. Another nearby alternative is the Hampton Inn By Hilton Napanee, which is located in Ontario, which is 12 kilometres (8 miles) from downtown Marysville. 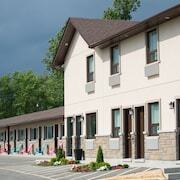 13 kilometres (8 miles) from downtown Marysville, is the Royal Napanee Inn. 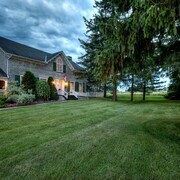 The Bayview Inn is positioned 6 kilometres (4 miles) away. If you'd prefer, you could book a bed at the Red Door Inn or the Twin Peaks Motel. After you have spent some time in Marysville, schedule in a little time to discover the other cultural and scenic attractions of the Ottawa - Southeastern Ontario area. View Ottawa - Southeastern Ontario's forests. 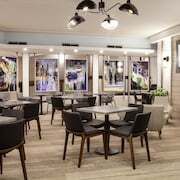 In addition you could go to the region's old towns and art museums. Common pastimes in this part of Canada include cross-country skiing and snow shoeing. 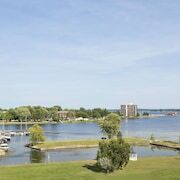 50 kilometres (31 miles) away from Marysville you'll find Kingston, home to the Queen's University and Fort Henry. The Residence Inn Kingston Water's Edge and Delta Hotels by Marriott Kingston Waterfront are some of the great lodging options in Kingston. 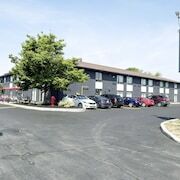 Or, you could stay in Belleville, 25 kilometres (14 miles) to the west of Marysville, where you can choose from the Fairfield Inn & Suites by Marriott Belleville and Best Western Belleville. The Pinnacle Playhouse and Black Bear Ridge Golf Club are popular points of interest to check out for those visiting Belleville. Before you leave Ottawa - Southeastern Ontario, why not make sure you catch some local sport. Visit Yardmen Arena to the west of Marysville. Book accommodation nearby to the action at the Comfort Inn Belleville or the Travelodge Hotel Belleville. If you are arriving or departing via Norman Rogers Airport, you may choose to book a room at Travelodge Kingston LaSalle Hotel, or Bayside Inn & Waterfront Suites, both of which are nearby. 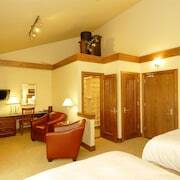 What are the most popular Marysville hotels? Are there hotels in other cities near Marysville? 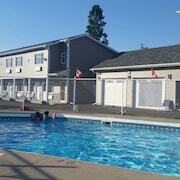 What other types of accommodations are available in Marysville? Explore Marysville with Expedia.ca’s Travel Guides to find the best flights, cars, holiday packages and more! Flights from Penticton Regional to Victoria Intl.